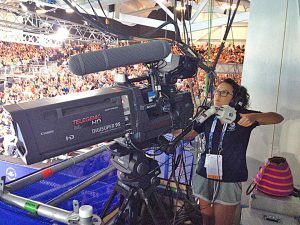 What does a Television Camera Operator do? I am a television camera operator, and founder of charity Raise The Roof. I managed to get work experience in a production company in Soho in London. After a fair amount of time making tea and photocopying, I got the opportunity to go ‘on location’ of a drama, where I began doing some work experience with the camera department. After that, I was able to apply for lots more work experience and eventually got my first job as a camera assistant at Capital Studios, which then led to a career at The London Studios. 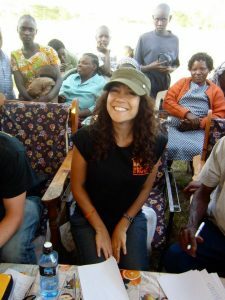 After a few years there, I decided to go travelling and to volunteer. I found myself in Kenya and my journey really began. I volunteered in schools, children’s homes and hospitals. I also did some fundraising for a community living on a dumpsite, to provide tin roofing in the raining season. I went back to Kenya to raise the roof, and that’s when I founded the charity. We now have a vocational training school, a girl empowerment programme, an education through sport programme, community outreach and soon a computer training workshop. I love the variety, the people, the travelling, the opportunity to add purpose to my life and to help others. Camera work is very male-dominated and manual. It involves long hours and being away from home a lot. Charity work is all-consuming, but I love it. For camera work, you need to be hard-working and have patience, a photographic eye and passion. For charity work, you need passion, compassion, love, determination, a thick skin and to be outgoing. If you want to do camera work, call TV production companies and studios to try to get work experience or work as a runner. Don’t give up; one of the doors will open! If you want to do charity work, volunteer your time to a charity, get to understand their work and support their vision. What is it like to be the Founder and Managing Director of The Luna Cinema? What does an Actor/Manager do? What does an Editor/Publisher do? What is it like to be a teenage author? 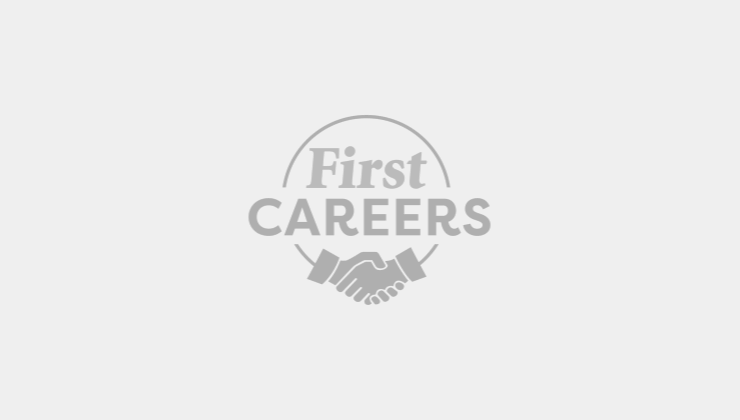 What is it like to be First News Editor in Chief? What does a Play Designer do? What is it like to be a Followspot Operator? What is it like to be a YouTuber? Find more Media Studies articles.